An industry standard! Ideal for the professional, it works well for an advancing musician. The die cast base is sturdy enough for road abuse yet light enough to carry. This black powder coated stand features a diecast zinc clutch. 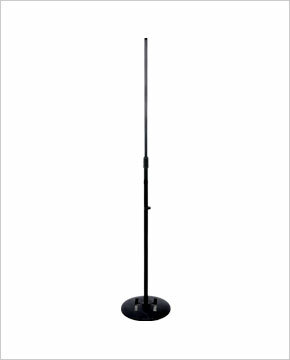 Round base microphone stand including thread adapter, metal tuning-clamp and cast iron base.